I “Muntradamus” am now officially part of the Fantasy Experts. 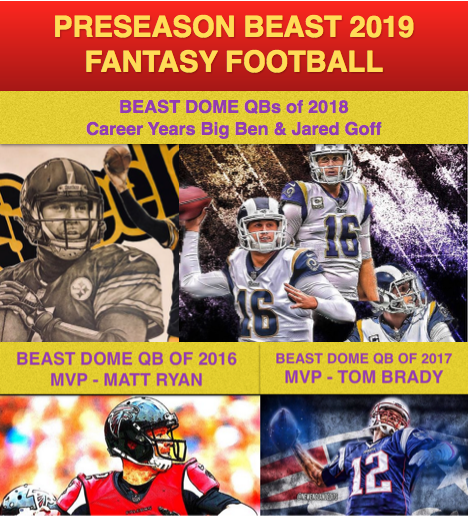 My first official season as a pro will be this baseball season as my rankings will be compared to all the other “experts.” I will of course be compared for Basketball, and Football as well in the upcoming seasons. -That’s my boy this year in baseball. 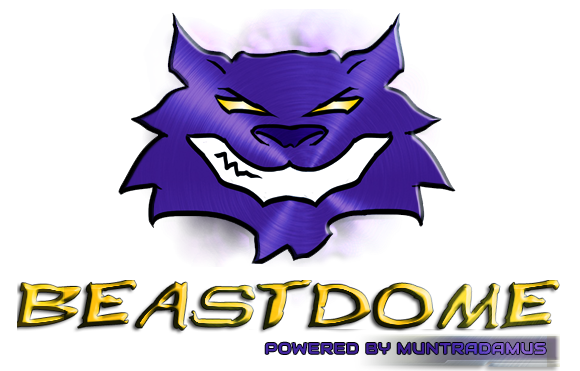 You will find at Beast Dome you get VIP treatment and you feel like you are part of a community. Not just a random fantasy site with information that you already know. Thanks to all the support from my Beast Dome Community. You guys are the reason I keep doing expert research and dig deeper than I have to. Without you guys my team just sits in 1st place all season and I just let the days go by. I will do all I can to give you the best insight to win your fantasy basketball championships. To see where your players are ranked and how I feel about them check out the Muntradamus Player Update Tag. This week the Trade Analyzer was the Player Update, combined. I will be writing more and more Articles to get you ready for the Playoffs. EKPE UDOH If you missed out on Biyombo or need a center. Of course you know how I feel about Bismack. EVAN TURNER should be added in all leagues. Read about him in the Daily Show. If you truly want to win your championship, you should read the entire Daily Show every day I write it. I talk about trends before they happen. LUKE RIDNOUR/GORAN DRAGIC/JERRYD BAYLESS. In that order if you need a point guard. ALONZO GEE/MIKE DUNLEAVY If you need a gap filler. LANDRY FIELDS can safely be dropped in all leagues. Congrats Muntradamus on your successful goals as an Analysis Expert. Will trading Rudy Gay (due to his condition) be solid in getting Antawn Jamison? Thank you Garrett. You were my 1st fantasy basketball questionnaire on this site, everyday it keeps growing. Yes that is an excellent trade concussion or not. Antawn only has to compete with Kyrie Irving for a majority of the shot attempts. He knocks down 3PTM, and rebounds very nicely with a block and/or steal. Rudy Gay has Zach Randolph coming back, O.J. Mayo heating up, Marc Gasol who wants his shot attempts, and Mike Conley who will find a way to score in double figures. The competition for shot attempts and being a star is far less for Antawn making him a much better fantasy option. There is a chance he gets moved at the trade deadline, but as of now Jamison is hands down the better fantasy option. Kyle Korver is a great short term option, Luol Deng is out today, and may be out Wednesday as well. The wrist is bothering him. I would hold onto Parsons he can be great with no Kyle Lowry. Not great, but better than usual. Speights holds no more value, Randolph comes back Tuesday. Blatche will come back eventually this season, he is more of a long term option at the moment. You can drop Thompson and pick up either Foye or Korver. You should lean towards Korver for now, Foye will give you some decent games mixed with some very inconsistent ones. If Dragic or Baylesss are still sitting on your wire, grab them instead. It sounds like you play in a deep league. Yeah i already picked up korver and i dropped parsons so hes on waiver currently. I need to drop thompson I feel, hes back in the starting line up but hes been so bad recently. Yeah dragic, bayless are taken already… i was planning on getting bayless but i missed out. Im in a 12 team league so the FA pools not too great. should i pick up maxiell or foye over thompson? One more suggestion. Tristan Thompson. If he is already taken, go with either 6 or 16 Point Randy Foye. Sorry last remark on this but was wondering if I should drop Thompson even though he’s gonna be in the starting lineup for Caron butler, randy foye, tristian, parsons , Landry fields, John salmons, Beasley or Gerald green. Some new ppl in the fa pool people just dropped. Please let me know ASAP, thanks!!! I would go with Tristan Thomspon. He will be a beast come fantasy playoff time. Caron is too inconsistent, and as you can tell Randy Foye is not someone to be trusted. Caron is a more attractive option, but Tristan has much more potential. Continue to read my daily articles. Rankings will be coming out in bunches, for now you can ask any fantasy baseball question in any article and I would be glad to answer. Welcome to the Beast Dome Community Ckarlos.